Baby Jackson was another Christmas baby who I got to meet at the end of 2018. Jackson was born several weeks early and spent some time in the NICU, so I ended up meeting him when he was several weeks old, and still very tiny! Jackson’s parents opted for one of my newborn mini-sessions. These are the one-hour sessions that are a flat fee of $400 and include a digital download of 15-20 fully edited, high resolution digital files. Depending on how sleepy the baby is, it’s not unusual for me to deliver more than the promised 15-20! We did an absolutely adorable Christmas themed photo, per Jackson’s mommy’s request. It was perfect for the family to use on their Christmas cards. I loved it so much, especially the one with Jackson’s tiny arm dangling and holding the candy cane! And Jackson had the cutest features and amazing lashes, so I adore all of the close ups of his sweet baby face! His newborn photo session was just perfect! I loved meeting him and his sweet family! Are you expecting in the Raleigh / Durham / Wake Forest, NC area? Please contact me to book your studio newborn photo session! I can be reached through e-mail, or through the contact form on my website (link directly below). Thank you so much! Did you know Melissa DeVoe Photography offers gift certificates in any denomination? They make the perfect baby shower gift, Christmas gift, birthday gift, etc. Please inquire if you’re interested in purchasing a gift certificate! Adorable baby Elena was sooo absolutely perfect! That skin! Those cheeks! That hair! Oh my goodness, what a beautiful baby she is! Elena’s family came to me a few years back for their older daughter, Liliana’s, newborn portraits. I was excited to see them again and meet their new addition. 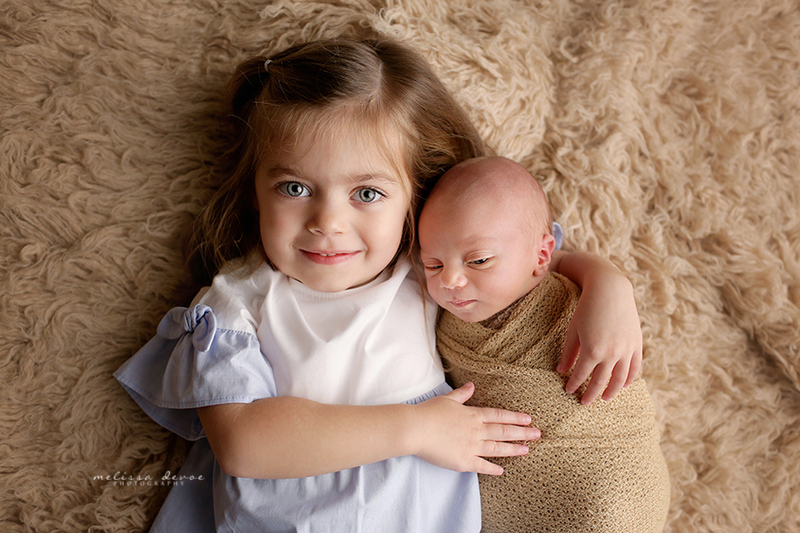 And of course Liliana came along and we did some amazing sibling photos. I absolutely love them, especially the ones where Liliana is snuggling baby Elena. 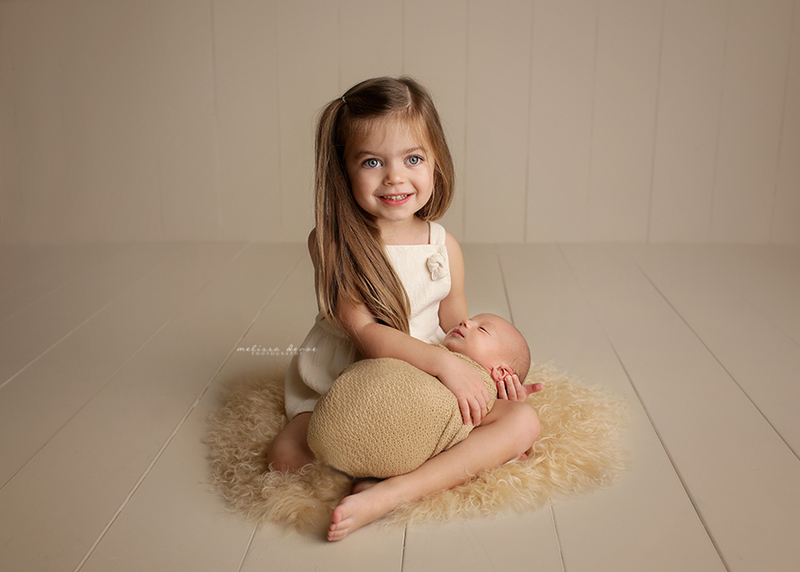 Elena’s newborn photo session was held when she was 11 days old, and it happened to be shortly before Christmas. I had fun incorporating some Christmas elements into her newborn session so the family could use the photos for their Christmas cards. I have a big selection of Christmas themed props, so I always put them to good use every November and December! If you have a baby near a holiday, please don’t hesitate to ask me what themed props I have to use during your baby’s session. Here are some of my favorites from baby Elena’s newborn photography session in my studio in Wake Forest, NC!